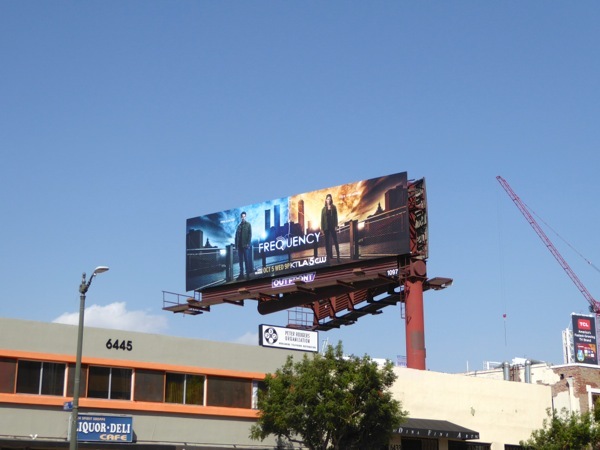 With networks feeling the pinch from exciting original content from streaming services like Netflix and Amazon, more and more they are relying on existing franchises and familiar concepts to draw viewers to their television offering. 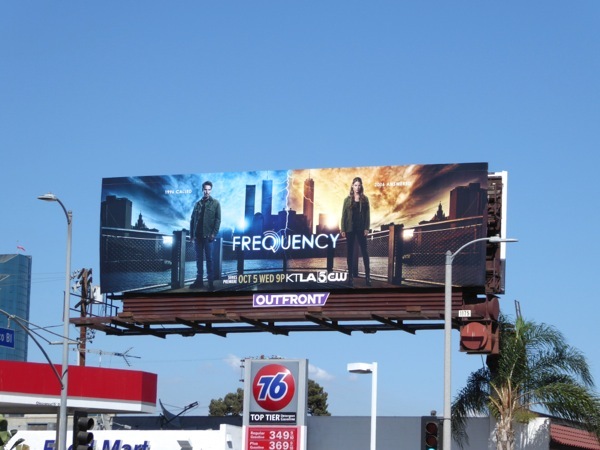 This Fall TV season is no exception, with Fox remaking Lethal Weapon for the small screen, CBS reviving 80s TV show MacGuyver and The CW reimagining the 2000 movie Frequency. It's strange that The CW has chosen to go down this road, as they've taken more than a few risks with their programming over the years and they now play host to almost a weekdays worth of comic book spin-offs, and even debuted an episodic television musical in recent times with Crazy Ex-Girlfriend. 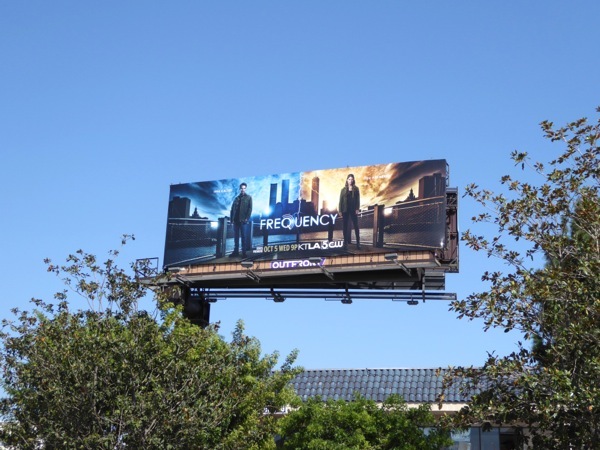 In this TV remake of the time travel story, a police detective (played by Peyton List) in 2016 finds out she can talk to her estranged detective father (Riley Smith) via a ham radio, the only problem is he died in 1996. Now communicating over the radio waves the two have to chance to work together and alter his tragic fate and heal their complicated relationship. 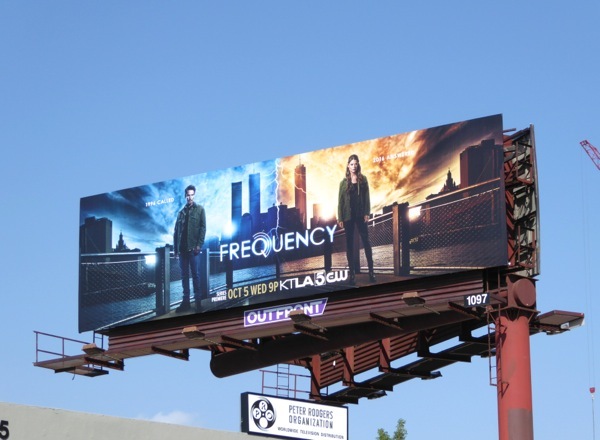 These series launch billboards for Frequency have a great colour combination split and the different World Trade Center towers in the background help convey the different time periods, and were snapped along Hollywood Boulevard, Sunset Boulevard and Pico Boulevard from September 22 to September 30, 2016. Sometimes this remake strategy works and other times it doesn't, but at least with The CW's audience skewing younger they probably don't remember the original movie from sixteen years ago. 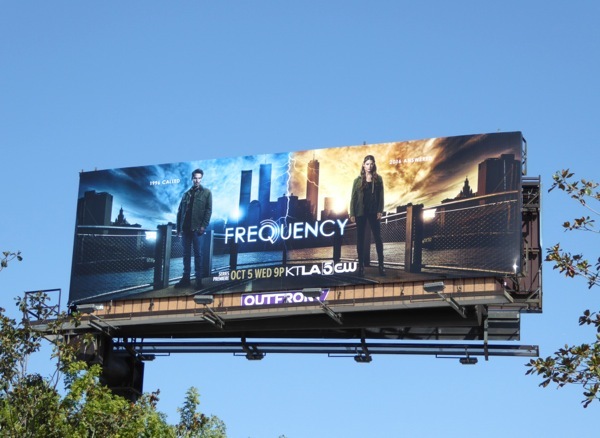 Let's wait and see who tunes in to this Frequency this Fall.